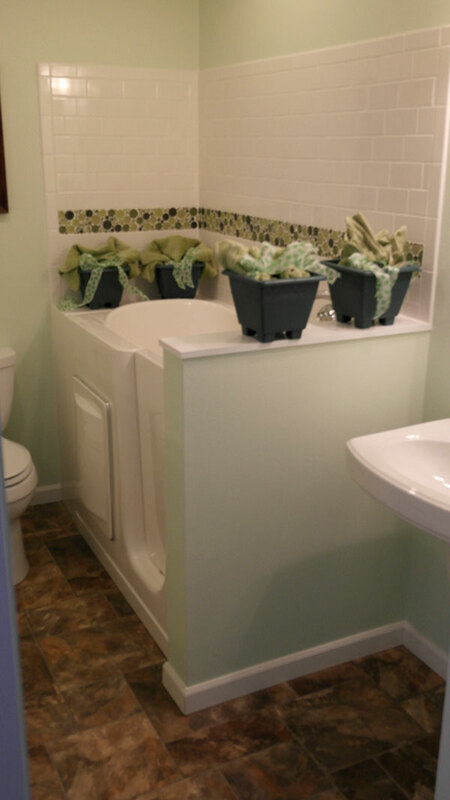 Escape walk-in tub with door for easy access and heated seat as a standard feature. 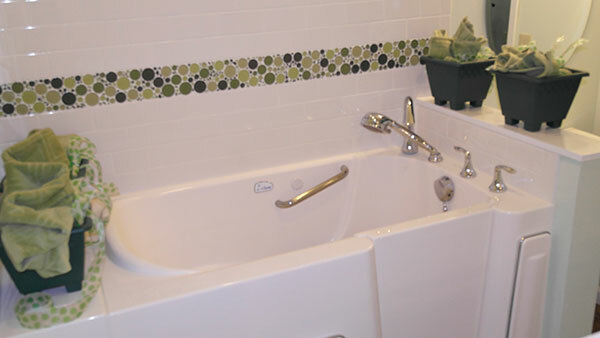 Model is designed to fit into the space of an existing bath tub or tub/shower unit. 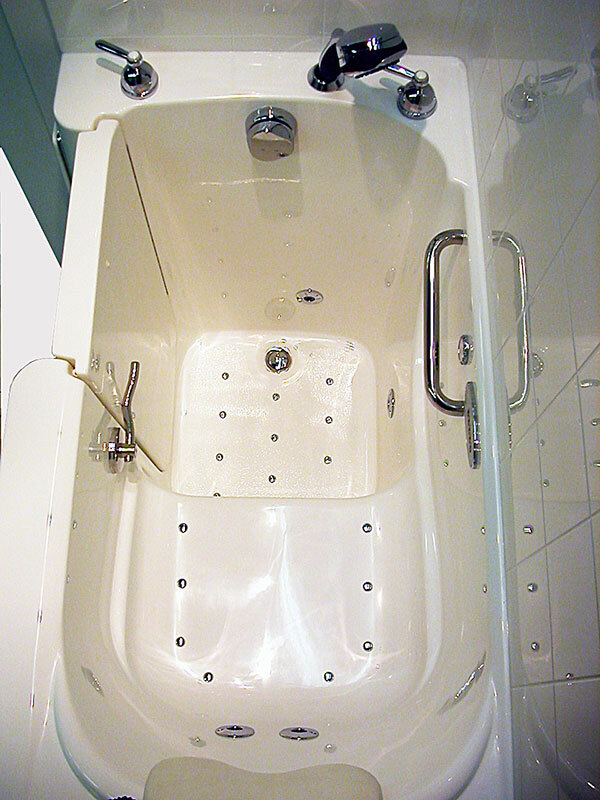 This model comes with timed heated seat, waste/overflow and safety assist bar. Optional air/water jet system(s), Ozone sanitation system, two or three piece wall surround and deck extension are additional options. 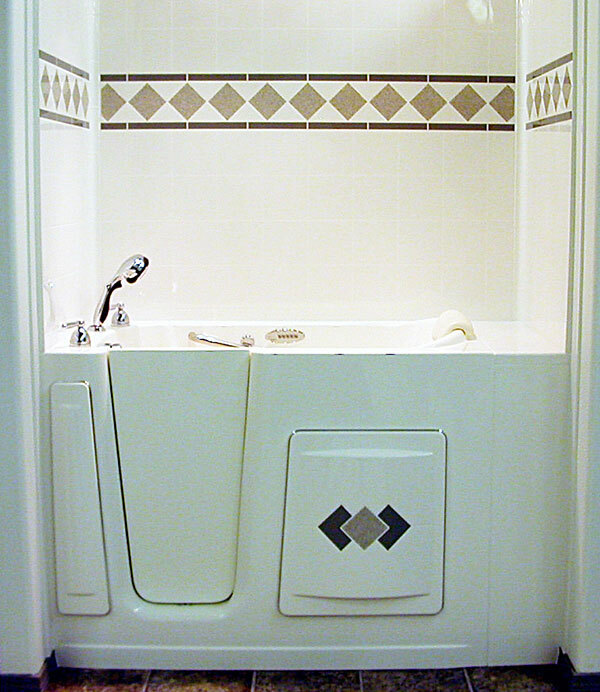 Escape Plus walk-in tub has a wider door and deeper bowl along with the same features as the Escape walk-in tub.